Hampshire Mezzanine Floors will administrate your complete Building Regulations Application for your project. Hampshire Mezzanine Floor will advise whether the work you proposed to be carried out requires the need for a building regulations application and we will liaise with building control on the design to ensure compliance with the building regulations. This type of application will involve Hampshire Mezzanine Floors sending the application fee with the completed building control paperwork, drawings, structural layouts and structural calculations. The inspection fee on this option will be invoiced direct to the end user by the Local Authority. This alternative application requires for Hampshire Mezzanine Floor to pay for both the application fee and the inspection fees as part of our application package. We still send a full structural and design package to building control on this option, and the building control officer will still undertake the full plans check and consultation with the fire prevention officer, thereby giving you a final plan certificate which is lodged at the Local Authority. Planning Applications are not normally required for internal fitouts of buildings, except where the external appearance of the building is proposed to be modified, for example new windows being added. 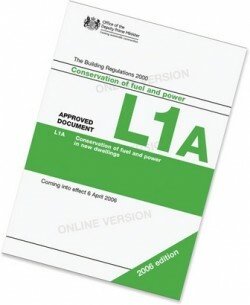 Planning Applications may be required if the usage of the site is being changed. Hampshire Mezzanine Floor will carry out surveys of your building to produce elevation details of the existing and proposed layouts. 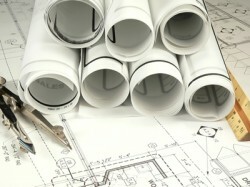 We then will administrate the full planning application and documentation. For further information on Building and Planning Regulations, please contact a member of our team.